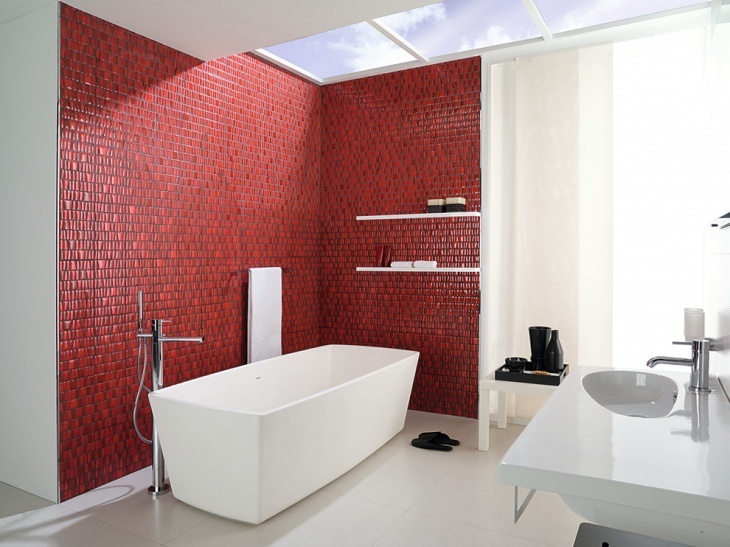 Have you always wondered how to make your bathroom décor more minimalistic? This is probably the only space in the whole house that would do well with the maximum floor space. 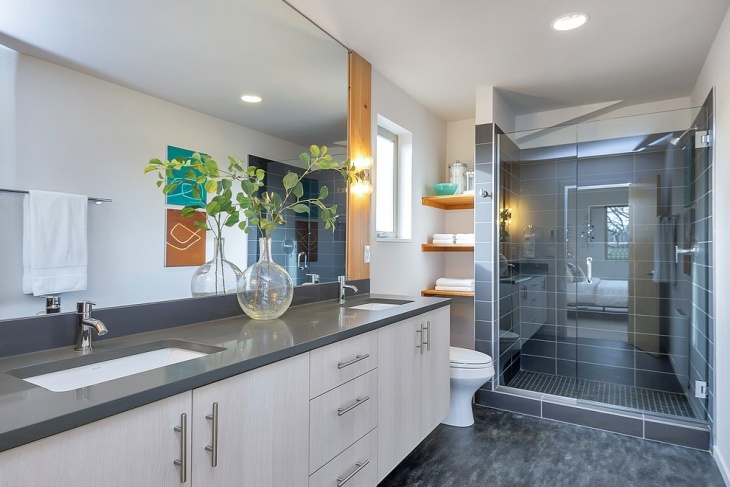 Also, bathrooms generally come small and keeping all your toiletries and other essentials can be a huge problem if you don’t have enough storage space. Now, adding a cabinet will always challenge the idea of a minimalistic décor. So, why not try out these incredibly unique floating shelves idea! 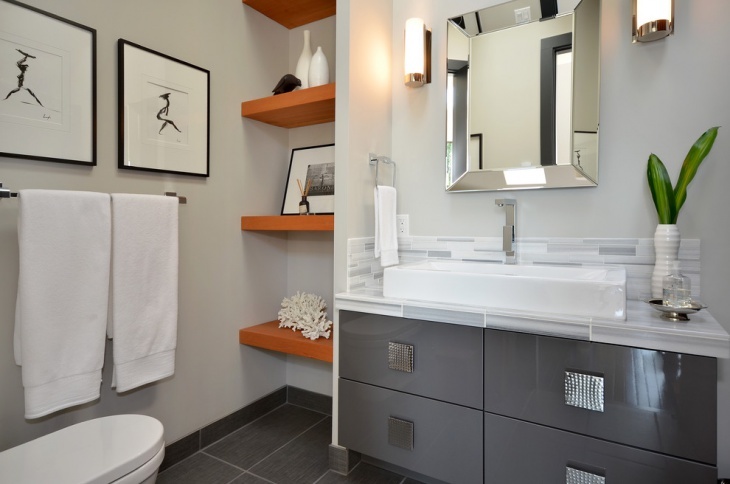 Take a look of how homeowners have been using floating wall shelves to meet the necessity of both décor and functionality. Floating shelves are nothing but projections from the wall that can act as a space for keeping things. It could be made of wood; it could be made of tiles. 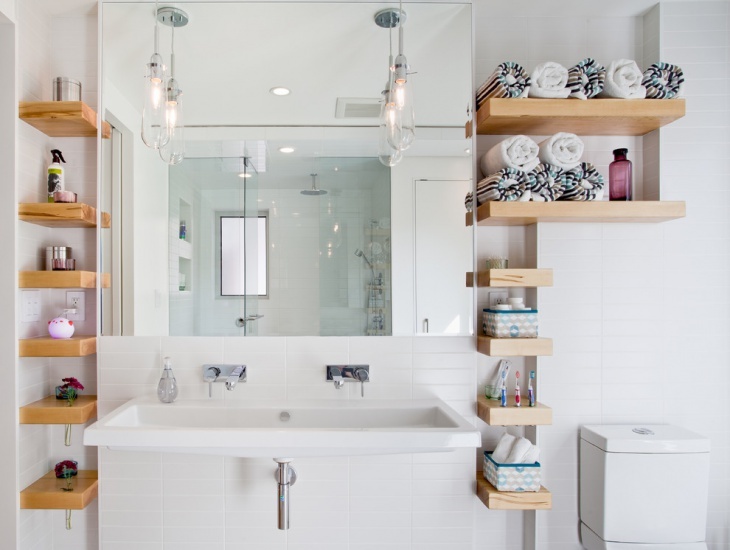 Without compromising on the floor space, bathroom glass shelves will have added an interesting storage that is easily accessible and meets the décor scheme. 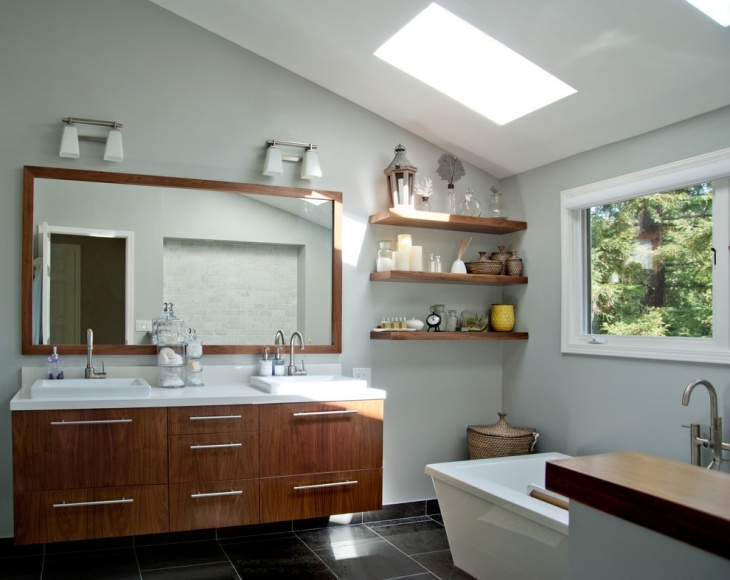 If your bathroom already has some rustic elements in it, wooden floating shelves would be a great investment. 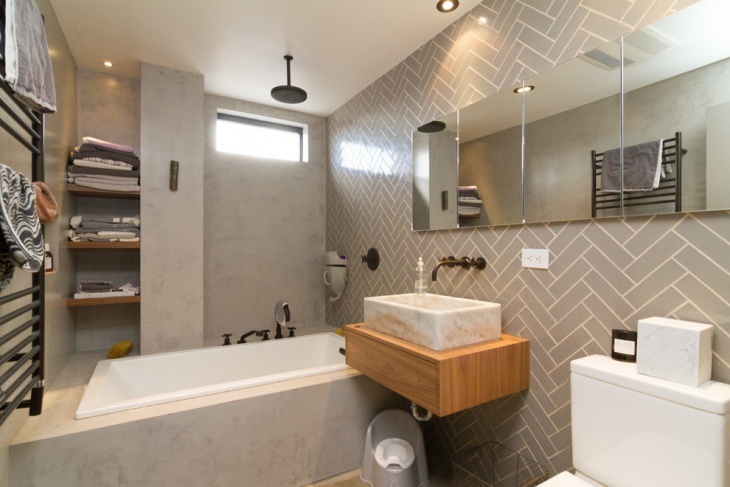 They don’t just add to the earthly charm of the space but also make the bathroom look richer. Just make sure that you are investing in a properly processed wood and have the necessary coating to stand guard against moisture. 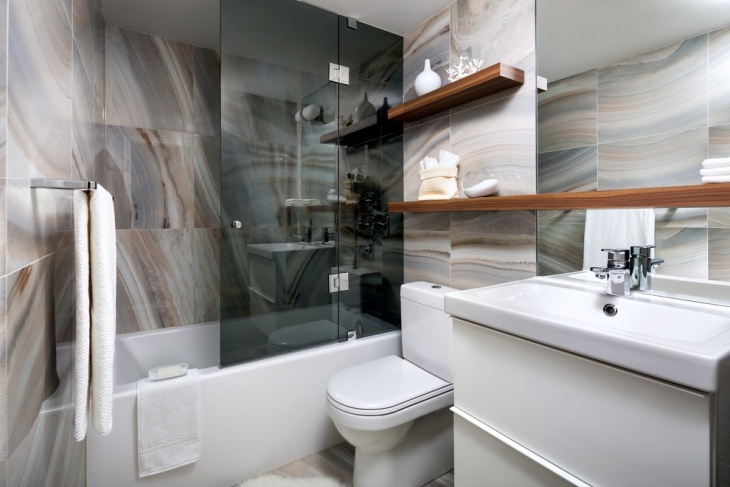 Floating glass shelves in any bathroom help create a unique interior design scheme. 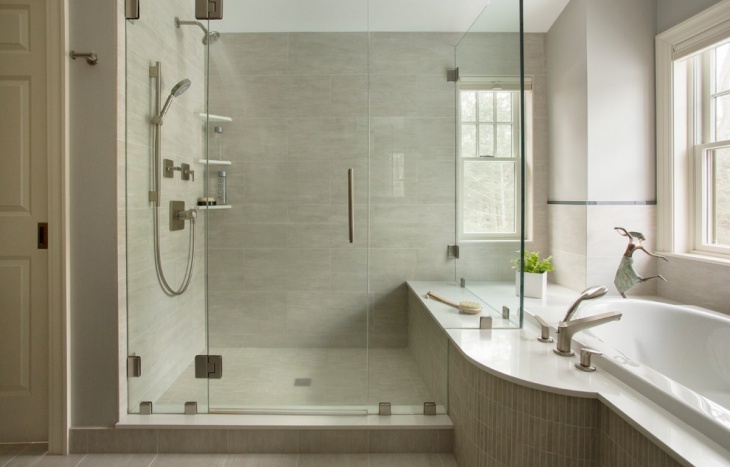 It will especially go well if you already have a glass walled shower space in place. 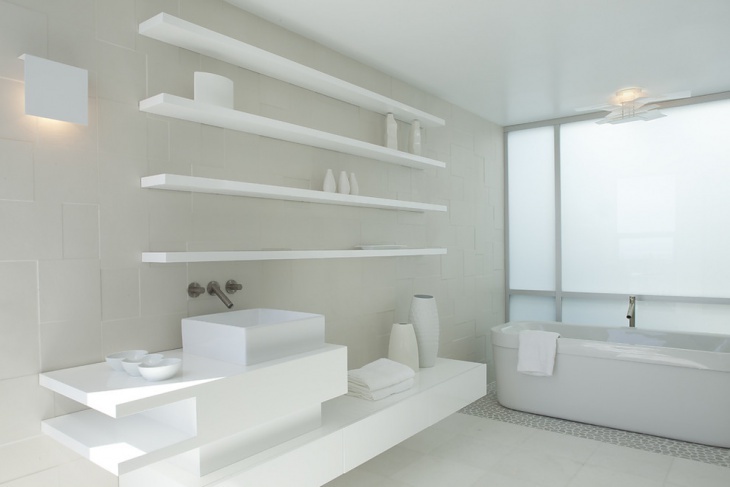 The use of glass as a material for the shelves ensures that you still get the illusion of a minimalistic layout and the bathroom looks bigger. 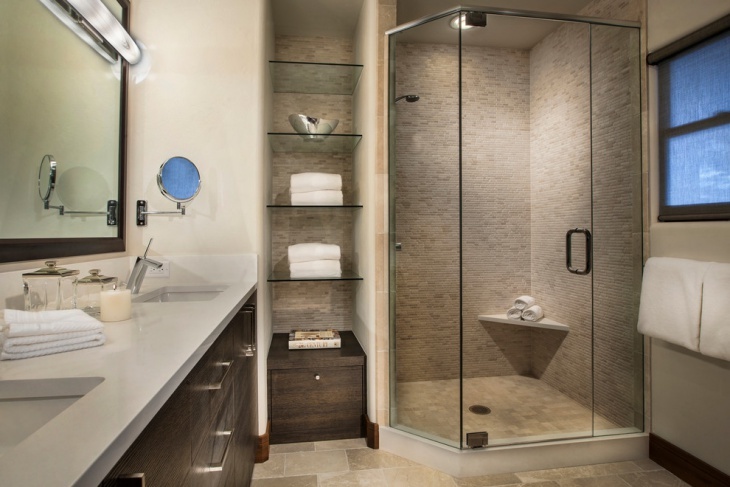 The corners of your bathroom provide the perfect space to add some shelves. Floating shelves will not only help you establish the required functionality but also will keep the décor interesting. 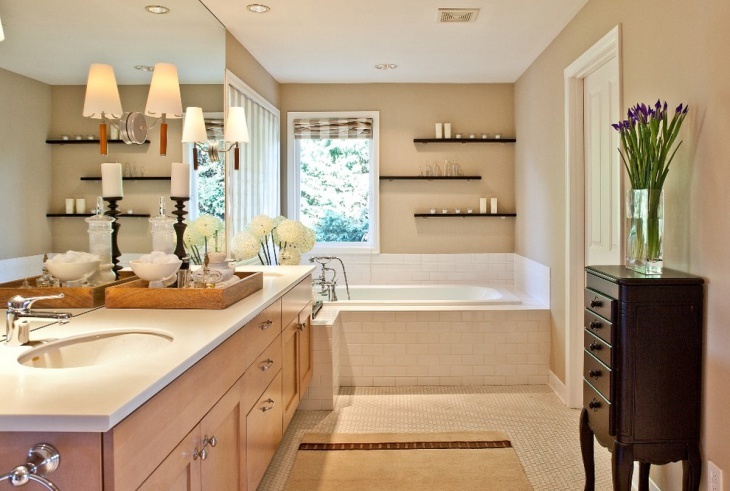 Bathrooms do particularly well with floating shelves for keeping your toiletries. You can have it in part of the wall as long as you have easy access to it. 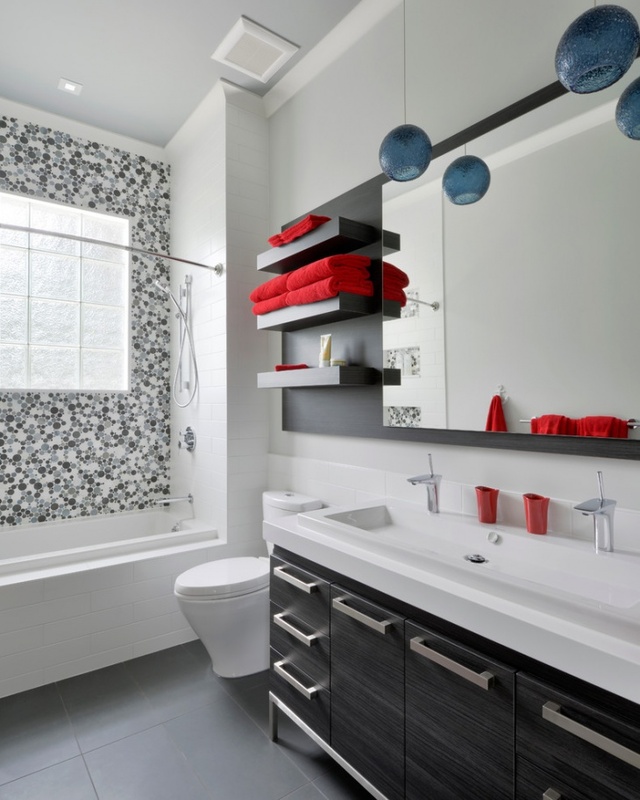 You may even choose to have floating shelves in different parts of the bathroom for different kinds of toiletries. 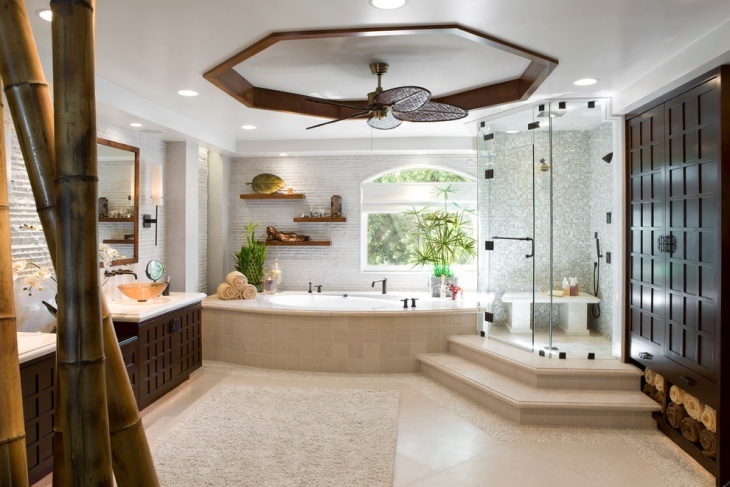 The main highlight about a master bathroom is the availability of a lot of space. 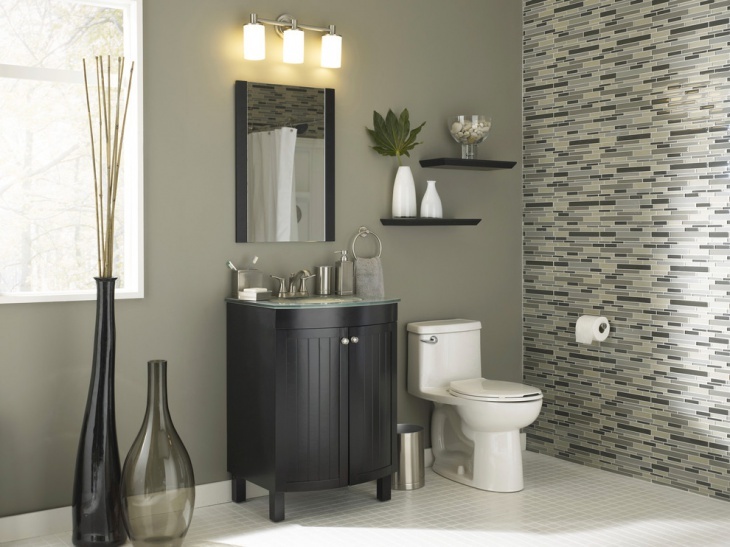 Small décor items as shown in this example makes the décor look charming and you wouldn’t want to break the appeal by bringing in an extra cabinet for increased storage needs. Well, floating glass shelves will be the perfectly matching alternative in this case. 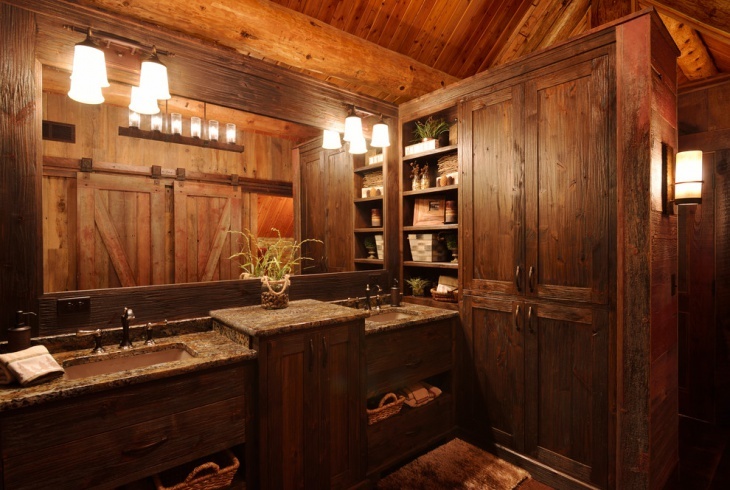 This example shows an incredibly rustic and rich space for a bathroom environment. Well, you can add floating shelves to add to the ambience, either to light up your candles or keep your small toiletries in easy access. Floating wall shelves is the most non-intrusive way to add to your storage needs and they can be integrated into any kind of décor. 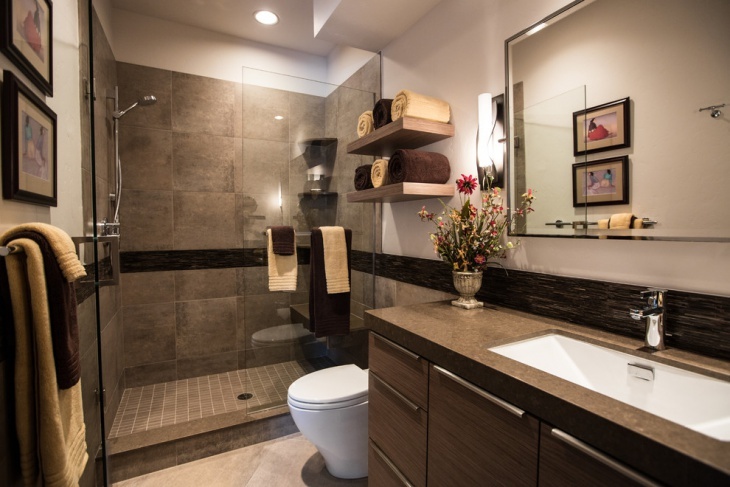 We hope that you liked our ideas for your bathroom shelves. Do leave a feedback on the above.